Yamaha Motor Releases the new TRANSERVO SG07 and special robot positioner TS-SH New model of TRANSERVO series, single-axis robots powered by stepping motors - News Releases | Yamaha Motor Co., Ltd.
IWATA, May 16, 2014 - Yamaha Motor Co., Ltd. (Tokyo:7272) has newly developed the SG07 to expand its TRANSERVO series single-axis robots (actuators) powered by stepping motors, as well as the TS-SH, a robot positioner especially designed for the TRANSERVO series. These new models will be released on May 29, 2014. The TRANSERVO series offers a lineup of cost-effective single-axis robots that utilize stepping motors. The new SG07 offers an improved maximum payload from existing models from 12kg to 46kg. 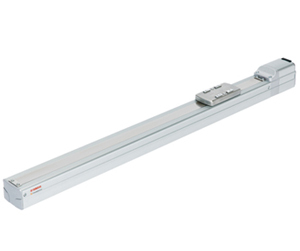 In addition, the TS-SH is compatible with absolute positioning, a first for robot positioners designed for the TRANSERVO series. In an environment where further cost-effectiveness is being demanded for production facilities, this new addition will make the TRANSERVO series lineup an affordable option for customers who require heavier load transfers as well as absolute positioning. Until recently, it was commonplace in production facilities to use air-pressure equipment for the simple positioning between two points. However, the demand for single-axis robots to replace air-pressure equipment has been increasing, as electronic equipment excels in multi-point positioning, smooth acceleration and deceleration, stable motion, and energy efficiency. Furthermore, it is expected that the majority of the demand will come from Asia, and that the price will drop in the future. With this new addition to the lineup, Yamaha Motor is able to cater to customer needs more flexibly in an ever-expanding market. The new products may also increase new implementations in various fields in addition to conventional applications by core clients such as the automobile and electronics industries. The payload has increased significantly, thanks to the 56 motor and increased rigidity of the table slide. A maximum speed increase of up to 30% has been achieved compared to existing slider-type TRANSERVO models, which may then lead to tact time improvements. The design of the new model allows the motor unit to be removed with ease by simply unscrewing two bolts. This means that even if a motor needs to be replaced, the replacement procedure is easy, and may shorten the time required for restarting production. Similarly to our high-grade models, the position detectors feature resolvers. Structurally, resolvers do not use electronic components that are prone to external interference, and are widely used in fields such as the automotive, aerospace, and medical industries, where reliability is most vital. The SG07 has the same environmental resistance and reliability as higher-grade models, while maintaining a lower price. Incremental robot positioners require the origin return procedure when they are turned on. On the other hand, if an optional battery is added to the TS-SH, origin return will no longer be necessary. This shortens the time required from turning on power to starting the operation. With improvements to the motor drive circuit, the TS-SH is able to drive the 56 motor equipped on the SG07, thus in combination with the SG07 it achieves higher speeds and output over our existing models. The 'direct positioning command' for fieldbus enables the position and speed data to be specified directly. This enables integrated data management to be carried out with ease. 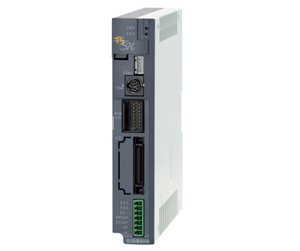 With a built-in gateway function, the TS-SH allows field network compatibility of up to 4 units by installing a network card only on a single unit and hard-wiring other units using a special daisy chain. This will enable an overall cost reduction.